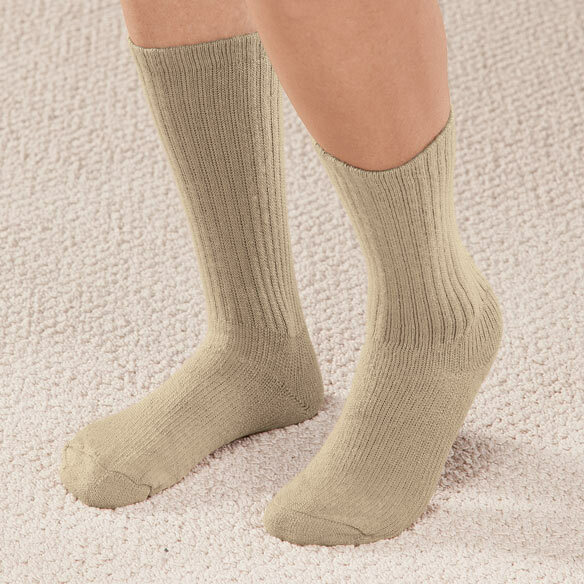 These graduated compression diabetic crew socks feature 8–15 mmHg graduated compression and comfortable, non-binding top to improve circulation. Soft, padded soles and low-profile seams protect from skin abrasions. Moisture-wicking fibers keep feet cool and dry to prevent blisters. 80% acrylic/12% lycra spandex/8% nylon. Machine wash.
We were looking fwd to these socks. Unfortunately we'll be returning them. Reason, the foot part of the sock was too small to fit over his foot. Sorry. 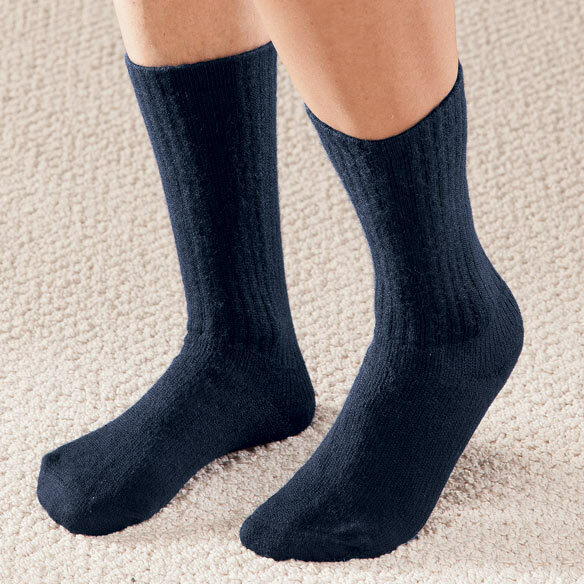 I would recommend the socks to someone w/a smaller foot. I RETURNED THEM AND AWAIT REFUND. Wanted to try a crew design compression sock. We choose these to help my Dad with his diabetic edema and neuropathy. 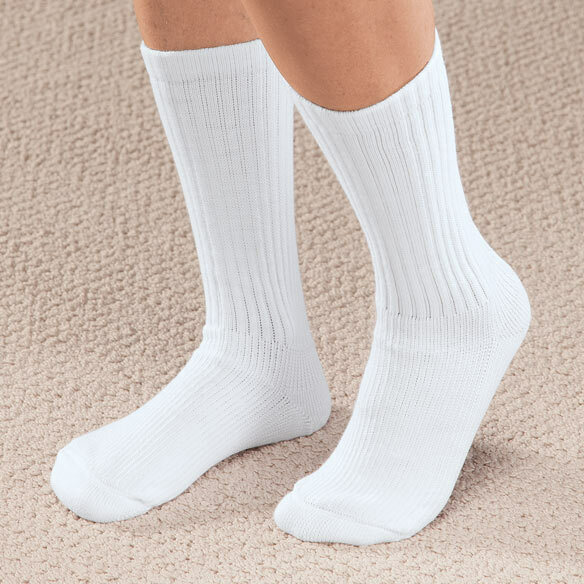 I am searching for a good comfortable crew sock. I go on a lot of bus trips and at times they are long and my feet swell. 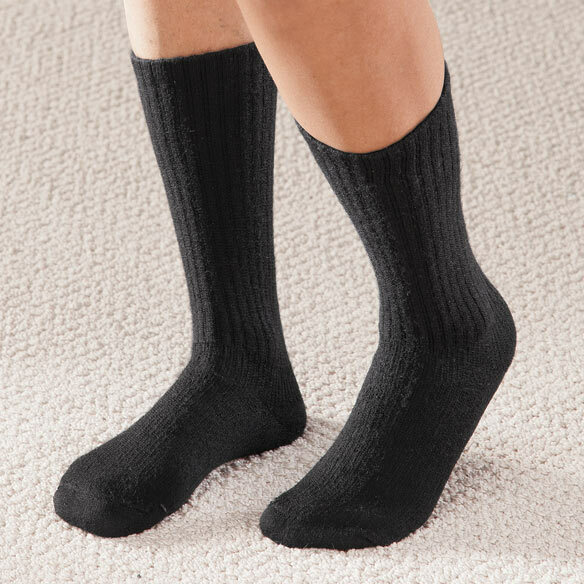 Doctor recommended these types of socks for my husband who is a diabetic. They are comfortable and have worn well. I have used them for several years, and they are of high quality. I noticed that I was having a problem with foot and ankle swelling. 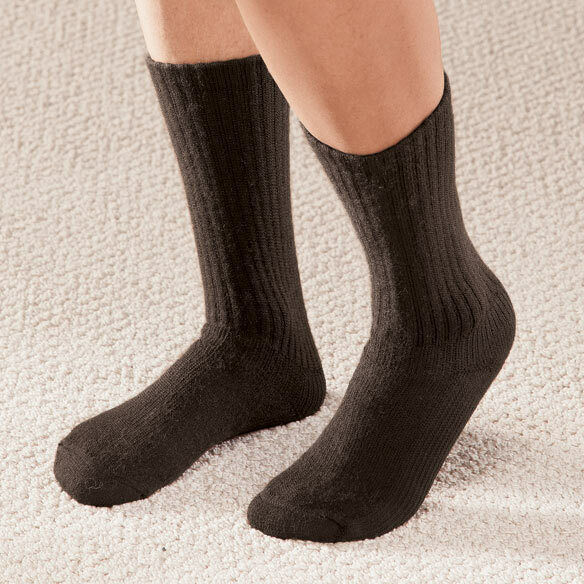 do these socks have seamless toes? I wear size 8 1/2 shoe - what size sock should I buy? BEST ANSWER: Thank you for your question. The socks are not seamless and do have a seam that goes across the toes. For women a size 8 1/2 will be size small and for men it will be a size medium. We hope this information will be of help to you. size chart I have a size 10 shoe what size sock do I wear?